Midwest Ear Nose & Throat (Chicago) - Book Appointment Online! Comfort and convenience are the hallmarks of Midwest ENT’s office operations. Our office offers specialized ENT (ear-nose-throat) physian services with an onsite, knowledgeable, and licensed audiologist to answer all your hearing questions. In addition, we provide hearing evaluations, the latest high quality hearing aids of all sizes, hearing aid products, and assistive listening devices. 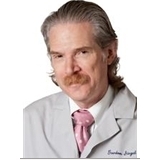 Dr. Siegel is an active participant in The Northwestern University Feinberg School of Medicine. He provides medical education to students and residents both inside and outside of the classroom. He is the recipient of the Joust award, an honor given to outstanding instructors as determined by the students. I am always impressed with Dr Siegel and his staff. They know exactly what is going on with you and treat you quickly and efficiently. The only drawback is the wait time but that is only because he takes his time with you and every patient. I learned to bring a book.